Salmon season opened on the Trinity Saturday September 1st. The Willow Creek weir is installed and operating with a new addition- an underwater video camera. The intent is to try and capture fish going through during the hours that the weir is open for fish passage to help for a more accurate fish count in the Lower Trinity. Sunday I took a tour of the Lower Trinity to see if there were any fishermen on the river, and to my surprise there were quite a few. Last week I could hardly find any one fishing from Junction City down to Hoopa. I was really happy to see so many people fishing. I didn’t see very many fish landed though. It is early and we could see more landings as more salmon come into the Trinity. Although, the salmon could have run on by when we had so much high water releases a couple of weeks ago. Another thought is that they are holding up for cooler weather to come into the valley. Now that the Hoopa fire is under control and the smoke has cleared to a smoky haze more heat came back into the valley and the water temperatures have gone up some. The weather (NOAA) says that we are supposed to get cooler weather in the next couple of weeks, I sure hope so. Smoke along the Trinity has turned into a light haze now that most of the fires around the general area are getting under control. The good news is that hwy 96 is now open to through traffic and you can get from Willow Creek to Weitchpec with little trouble. Fishing at the mouth of the Trinity is good but it is an early morning fish for the time being. Lower Klamath Count: Dan Troxel is the new CDFW fisheries scientist. The Spit has landed 99 out of 524 quotas; the Lower Klamath has landed 199 out of 1,745 quotas to date. (I am having trouble opening the Lower Klamath report) NOTE: I just heard (Sunday Night news) that the Lower Klamath (the Spit) has reached their 15% (524) and the Klamath is closed to salmon fishing from 100ft above the Spit through the mouth. You can still fish below the 101Bridge for one adult; above the 101 Bridge you can still take one adult Chinook salmon and one jack with 6 Chinook salmon in possession but no more than 3 adults over 22 inches. Willow Creek weir trapping: week of Aug 26; jacks 0, Adults 0, total 0, season total 0; steelhead, ½-lbs 0, adults 0, total 0, season total 0. The weir has just opened for operations and hasn’t started counting yet. Fishing: Lewiston Dam is now releasing flows of 713cfs. and because of the Carr Fire and the power plant reductions there has been extra water releases into the Trinity. This is the first weekend of salmon season for the Trinity and many fishermen have taken advantage of it. As I drove past the Willow Creek weir this morning on Hwy 96 I observed many fishermen fishing below the weir distance limits but I did not see anyone land a fish. I was only there for a few minutes though. I am sure that some fish were landed had I stayed for more time but I wanted to check out more places on the lower river. John from E Ne Nuck / Perch Creek said that he saw salmon rolling at the mouth of Bluff Creek and is counting on the water releases for the Boat Dance to start the main Fall run of Chinook salmon to stare up the Klamath. His friend Ted has been getting lots of nice salmon with fat bellies in his net when he fishes. There appears to be a good number of salmon below Weitchpec right now so we should be seeing those fish very soon in Willow Creek. Mid-Klamath: Iron Gate Dam is releasing flows of 1,024cfs. The increase in water flows is for the Boat Dance. Now that the fires are getting under control the smoke is turning into a light haze instead of heavy smoke. The bad part is that as the smoke dissipates the heat returns. Hopefully the weather forecast for the coming week is that it will be getting cooler and we will see some cooler water. The cool water is what will bring up the salmon and fishing will get much better. As I said earlier, John said he has see more salmon below Weitchpec and that speaks well for the mid section of the Klamath. Slate Creel, Bluff Creek and Hopkins Creek are still flowing cold water into the river so I would suggest those areas would be a good place to fish for ½-poundes and salmon. Don’t forget there are still some river closures for Native American Ceremonies in the Mid - Klamath. 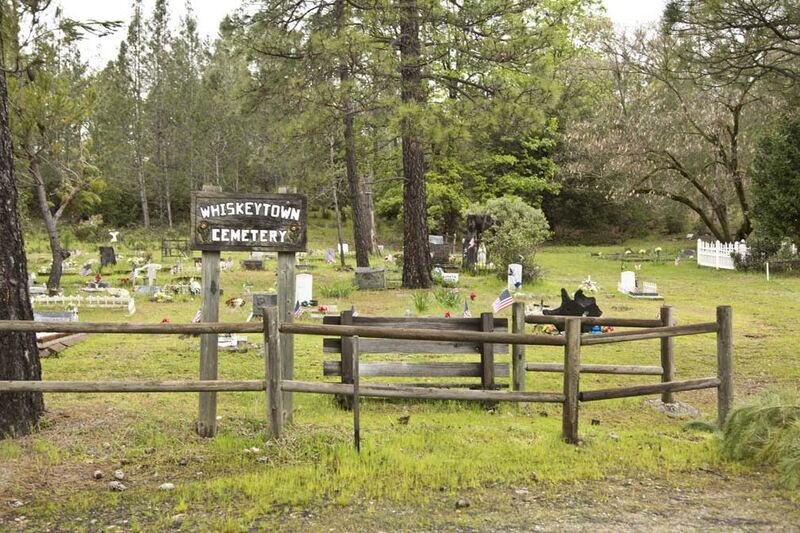 Lake Conditions: Whiskeytown is N/A% of capacity (an increase of 0%) with inflows of N/A cfs and releasing 628cfs into Clear Creek and on to Keswick. Shasta is 59% of capacity (a decrease of 2% and 5ft) with inflows of 1,846 cfs and releasing 8,625cfs, Keswick is 90% of capacity (an increase of 0%) with inflows of 8,614cfs and releasing 8,684cfs; Oroville Lake is 45% capacity (a decrease of 2% & minus 7ft), inflow is 2,4478cfs and releases are 6,704cfs; Folsom Lake is 52% of capacity (minus 0% & minus 0ft.) inflows are 1,840cfs and releases are 2,249cfs. Trinity Lake: the Lake is 62ft below the over flow (a decrease of 2ft) and 64% of capacity (1% decrease) Inflow to Trinity Lake is 32cfs and Trinity Dam is releasing 1,341cfs to Lewiston Lake with 628cfs going to Whiskeytown Lake and on to Keswick Power Plant, which is releasing 8,684cfs into the Sacramento River. Trinity River flows and conditions: Lewiston Dam releases are 713cfs with water temps of 54.1 degrees and air at 97 at 2:00pm Sunday. Limekiln Gulch is 5.3ft at 741cfs, with water temps of 55.7 degrees. Douglas City is 6.8ft at 708cfs, water temps of 55.9 degrees and air is 93 Junction City is 2.3ft at 694cfs. Helena is 9.5ft at 712fs with water temps of 62; Cedar Flat (Burnt Ranch) is 3.3ft at 761cfs. Willow Creek is estimated at 811cfs and air is 98 with water at 68. Hoopa is 11.7ft at 807cfs with water temps of N/A. Flows at the mouth of the Trinity River at Klamath River are estimated to be 2,500cfs. Klamath: Iron Gate Dam releases are 1,024cfs. Seiad Valley is 2ft at 1,157cfs. Happy Camp is estimated at 1,169cfs, Salmon River is 1.5ft at 166cfs, Somes Bar is estimated at 1,527cfs and Orleans is 2.7ft. at 1,693cfs and the Klamath River at Terwer Creek is 7.9ft at 3,468cfs, with water temperatures of 70 degrees. Flows at Dr. Fine Bridge are 4.6ft at 240cfs. The temperatures in the Valley last week were in the low 50s and the high was 98 with 0.00in of rain and a season total of 68.45in of rain and a total of 4.15in of snow. Temperatures in the valley next week are expected to run in 95/45 degrees with sunshine during the next two weeks. Hopefully the cooler nights will help cool the water temperatures down.